If you choose a Curbside Mini Square advertising program for six months we’ll drop the price to $250 total and include a 30 second advertisement on our podcast - what a deal! Only three of these deals are available so contact us today to get yours. The Curbside Car Show Calendar and Automotive Blog may be the perfect place to share the message about your business. You'll notice that I prioritize easy reading and content but have left space for some great advertisers. Have your car show listed in our rotating "highlighted" car shows. 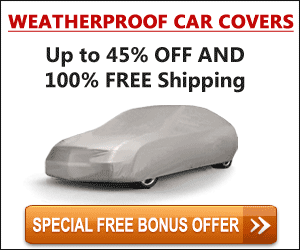 This appears on almost every page of the site and encourages more people to be aware of your car show. Since I know that car shows are often fund raisers, this feature is a scant $25, period. Not bad, eh? Have your advertisement in our rotating field on every page. Each advertiser is displayed for an equal length of time in a rotating series and there will not be more than 10 of these. Presently rates are $50/month or $250 for six months. Artwork should be 300h x 600v at 300dpi in either JPG or PNG format. Thank you! This is a deluxe package that includes a square ad on every page as well as an announcement in our weekly email newsletter that goes to about 1200 people per week. This includes a 30 second spot in our weekly podcast. For best results advertising artwork should be 600w X 600h at 300dpi in either JPG or PNG formats. This package is $400 for six months. There are a total limit of three of this type of ads. I can help you create a custom solution as well that could include video, animation or whatever you like. For example, the Lake County Chamber ad at the bottom of this page is a custom animation that I created. Another example is the split partnership on the Road Trip Review blog between Redwood Empire RVs and Pink Flamingo RV Radio. You can contact me using the form below. I'll be happy to hear from you.